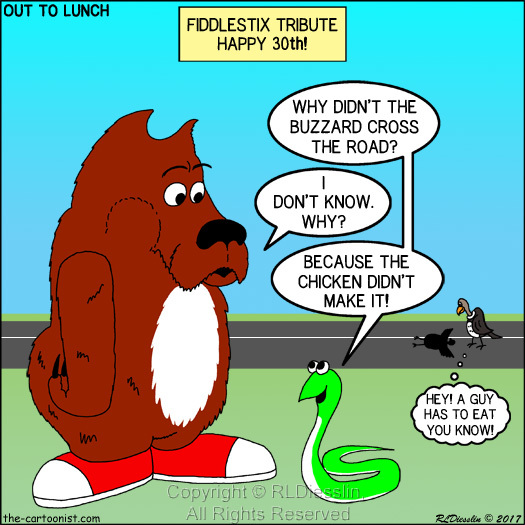 Fiddlestix Tribute Cartoon - Happy 30th Birthday! 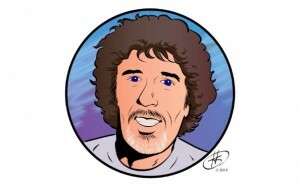 Michael Pohrer: St. Louis, Missouri Animator / Cartoonist / Illustrator. Spilling ink on drawing boards since 1979. Delivering daily funnies to the masses since 1988 through the printed pages. Creator of the internationally syndicated cartoon strips FIDDLESTIX©, and Welcome To The Jungle©. Michael Pohrer is currently a member of SCCS Southern California Cartoonists Society – San Diego Chapter of The National Cartoonists Society, CAPS, Comic Art Professional Society, I.C.C. International Cartoonist Conspiracy, and The St. Louis Gateway Arts.